Hier sur le blog en anglais de la Black Library, un article de Chris Wraight à propos de son roman Wrath of Iron qui sortira en juillet prochain, en anglais. The Iron Hands. Few factions in the galaxy of Warhammer 40,000 create as much of an aura of dread and mystery as the half-bionic warriors of Medusa. They have none of the disciplined splendour of the Ultramarines, none of the flamboyance of the Space Wolves. Bred on a world of darkness, they adhere to an austere creed of absolutes. Their hatred of weakness is legendary – they will hunt it down remorselessly in their enemies, in their allies, and even in themselves. This maniacal pursuit of purity makes them utterly lethal. 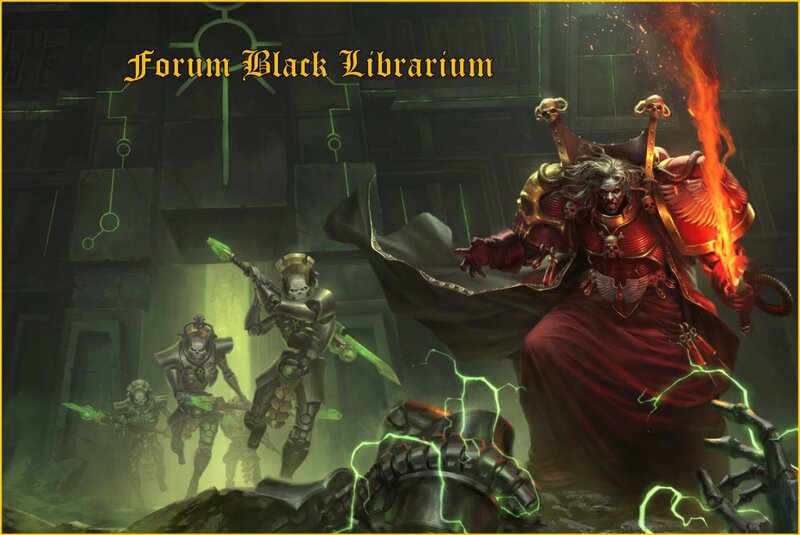 Few mortals of the Imperium welcome the news that the Iron Hands are heading their way – even a rumour of their impending arrival is enough to restore the slavish loyalty of restive populations. With the Iron Hands, you know what you’re getting: no mercy, no compromise, no half-measures. Writing a book with such unattractive protagonists was a challenge. It was tempting to imagine that the Iron Hands, deep down, maybe aren’t quite as bad as their reputation suggests. But, in truth, they are. Their whole being is consumed by remorseless single-mindedness, a pathological loathing of everything but combat. They are a living embodiment of Warhammer 40,000’s dystopian setting, a dreadful warning of what ten thousand years of relentless war can do to the human spirit. And these are the good guys. Wrath of Iron follows the actions of Clan Raukaan, one of the autonomous battle companies of the Chapter, during the brutal suppression of a revolt on the hive world of Shardenus. Almost nothing has been written about exactly how this Clan deploys in a warzone, so this was a chance to explore how Raukaan operates. 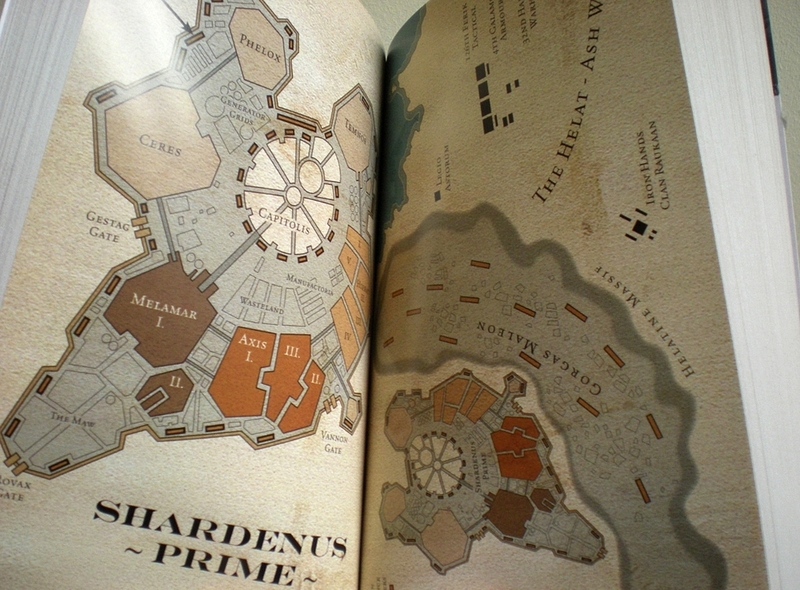 We see their actions through the eyes of a variety of Imperium factions: a regiment of Harakoni drop-troops, an Imperial Guard tank division, a Titan battlegroup, and the luckless civilian population of Shardenus. As the conflict unfolds in the hellish, claustrophobic tunnels of the colossal hive spires, we begin to understand a little about why the Iron Hands are the way that they are. Their story is a tragic one, a tale of how noble aspirations have been slowly corrupted into madness, and how the loss of their primarch, millennia ago, has removed their last and only hope for redemption. Loathed by the Traitor and feared by the Loyal, the Iron Hands crusade alone, slowly transforming themselves into beings of pure machinery, alienating themselves ever further from the humanity they are charged with protecting. Mortal emotion means nothing to them, fear means nothing to them, the frailty of flesh and blood means nothing to them. They have passed beyond such things. Emotion is corrupt; fear is irrelevant; flesh is weak - and when such things are purged, what remains is the Iron Hands. Oui et des Ultramarines aussi ...ou des D.A ! Enfin une histoire sur l'une des Legions les plus anciennes , espérons que le Fluff sera présent . Hier mise en ligne sur le blog The Founding Fields d'un article passant en revue le roman Wrath of Iron de Chris Wraight. He went down hard, nearly blacking out as his helmet cracked against the floor. A hot trickle of blood ran down his temple as he pushed himself back up. For a moment, clouds of dust and bolter fire obscured what had happened, and he looked stupidly out through a cracked visor across the scene of desolation. He saw two more monsters emerge from the swirling dust, firing their huge weapons steadily as they advanced. They picked off his men with silent efficiency. Some of the defending troops broke then, racing across the half-ruined chamber to get to the doors at the rear, but they didn’t get very far. Arela saw most of them torn clean in half as projectiles pumped clean through them before exploding like grenades. He dragged himself to his feet again, his head light and his stomach churning. It had all happened so quickly. Dimly, he could hear the thunder of battle across the plains outside. Huge, grinding noises made the earth shake beneath him, and he could only guess at what kind of war engines had been landed. One of the monsters turned from the slaughter to look in his direction. For a second, Arela stared right into its deathmask face. Two red eye-lenses stared back at him, glowing like twin embers in the smoke. The creature’s vox-grille – a downturned, contemptuous snarl of metal – glinted in the light of explosions going off. Arela ran straight towards the monster. With nowhere to go and no chance of survival, he opted for one final act of defiance. As he ran, he fired his pistol and drew a rapier from the scabbard at his belt. For all its bulk, the monster was fast – breathtakingly fast. Before Arela had taken another stride he found himself lifted up from the ground, clenched at the neck by a massive black gauntlet. He gasped for breath and his legs kicked out uselessly. His captor squeezed, and Arela dropped his blade. His vision blurred, and it was all he could do to look his killer in the eye. ‘I fight... for the Emperor,’ he gasped, blurting it out as if that fact could alter anything. A metallic growl issued from the monster’s vox-grille. Chilling stuff. It’s this machine-like efficiency and remorselessness that makes the Iron Hands unique amongst the Chapters of the Adeptus Astartes and such interesting characters to read about. Une petite traduction, s'il vous plait ? Sinon comme toujours la couverture donne très envie.